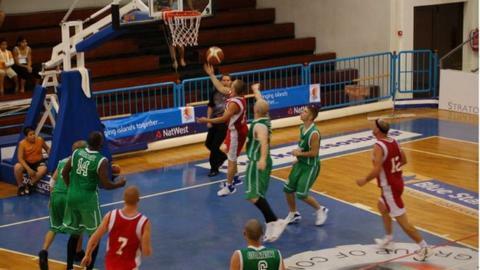 Guernsey's basketball teams have pulled out of the 2013 Island Games in Bermuda after too few islands decided to play. Only three women's teams and four men's teams committed to playing the event this summer because of the cost. Guernsey were planning to send a party of 30 to the basketball event. "It's a big outlay in cost to travel to a tournament that doesn't really constitute a tournament and it was clear it wasn't worthwhile," head coach Adam Farish told BBC Guernsey. Farish was unhappy with both the organisers and other European-based islands who decided to stay away because of the event's price tag. "I don't think the Bermuda organisers pushed hard enough early enough," he said. "Some islands haven't travelled, haven't made the effort, and our sister island Jersey aren't going and they're hosting in two years' time. "Jersey said from the get-go that they weren't going to send a basketball team, but ultimately it's these teams that have let everyone down." Farish says Guernsey have been in talks with Gibraltar about staging a tournament around the same time as the Island Games as an alternative. "They'd get some Spanish league teams in so we'd be competing against them and on that side, from a basketball perspective, that could turn out to be a really good alternative. "We could take an A and B team so more people would be involved, the costs travelling to Gibraltar would be considerably less than Bermuda and the men and women's team could be one big squad. "It's a real shame we're not going to be part of team Guernsey, which is something we're all very passionate about and very proud of being a part of. "We love the Island Games, to us it's the pinnacle. "The fact that we're going top have to wait another two years to have that chance, and then it's in Jersey and not Bermuda, is a real shame."